If one travels extensively it is not unusual to meet like-minded men and women, who share the same passion for exploring new vistas and then much like storybook nomads move on seeking the next great unknown. A touch of pride is always present in listing where and when, but most of all to come up with the most exotic, remote or truly interesting destination considered beyond the trodden path. Seeking the opportunity to see and experience that which I don’t view as normal daily fare is the sine qua non of my personal ‘joy de vivre’. 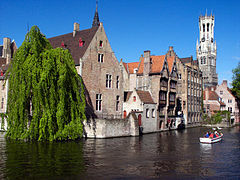 In conversations between travel aficionados one is often challenged to come up with a personal favourite and I often surprise by naming Bruges and Ghent in particular and Bruxelles en passant. 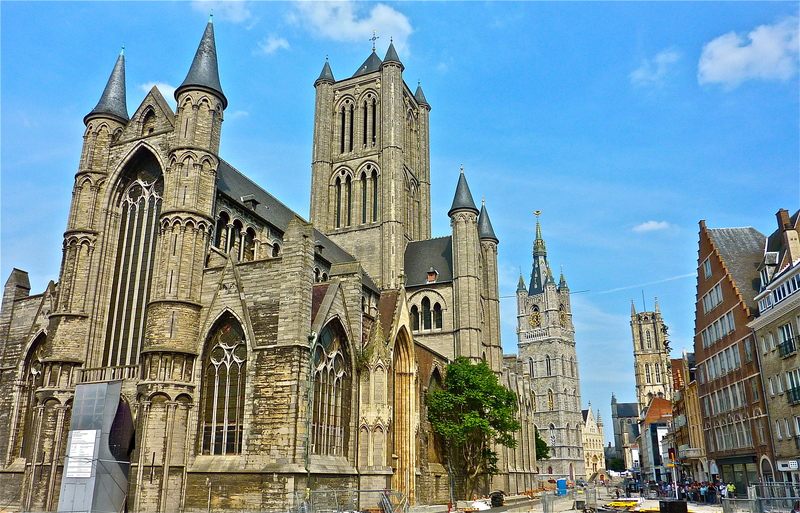 It appears to be uniquely my own bias as no one I have encountered in Canada has ever come close to naming Belgium as a travel destination, not even as a go-through or stop-over. Yet, for such a smallish country in area and modest population it boasts of a long and interesting history as well as numerous sites worthy of anyone’s close-up look. It’s a bilingual country, French and Flemish but you’ll also hear German and as in most of Europe almost everyone can speak a least a rudimentary English. 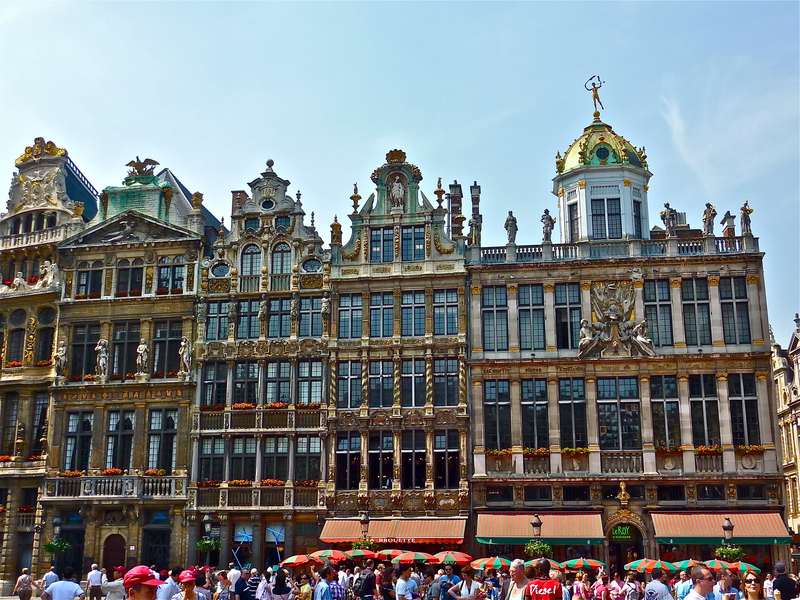 I always by-passed Bruxelles but this time I decided to at least spend an entire day checking it out; I liked what I saw promising myself a longer look next opportunity. It’s a cosmopolitan city with an intriguing mix of people, international business and presently the de facto capital of the European Union. 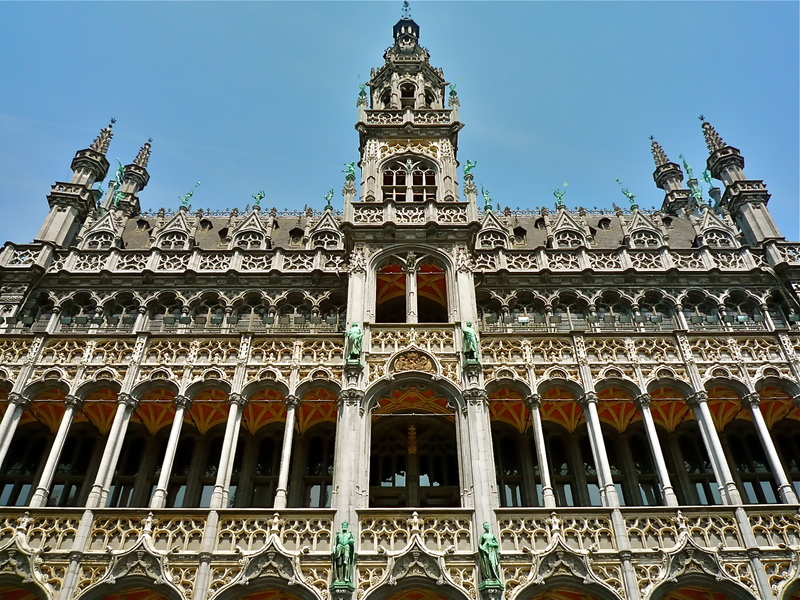 Since the end of the Second World War Brussels has become the polyglot home of major European Union (EU) institutions, international organisations, politicians, diplomats and civil servants. Importantly it is the headquarters of the North Atlantic Treaty Organization (NATO) a vital military counter-balance to Soviet threats through the Cold War and now to the renewed super-nationalist ambitions of Vlademir Putin, a would-be Tsar of all the Russian people. 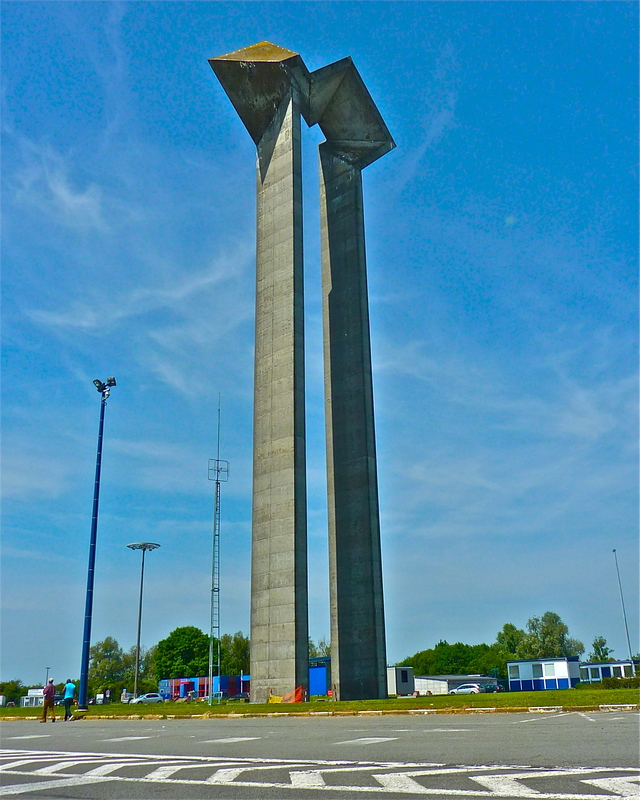 The imposing structure standing at the border is a symbolic reminder of the traditional French/Belgium amicable relations. As soon as you cross over into Belgium here’s an absolute must-do, indulge in Belgian fries (aka French fries but better, oh sacrilege) with a couple of Merguez (spicy sausages) served in a paper cornet and a huge dollop of rich mayonnaise, wash it down with one of the splendid local beers, a guaranteed delightful snack anytime. 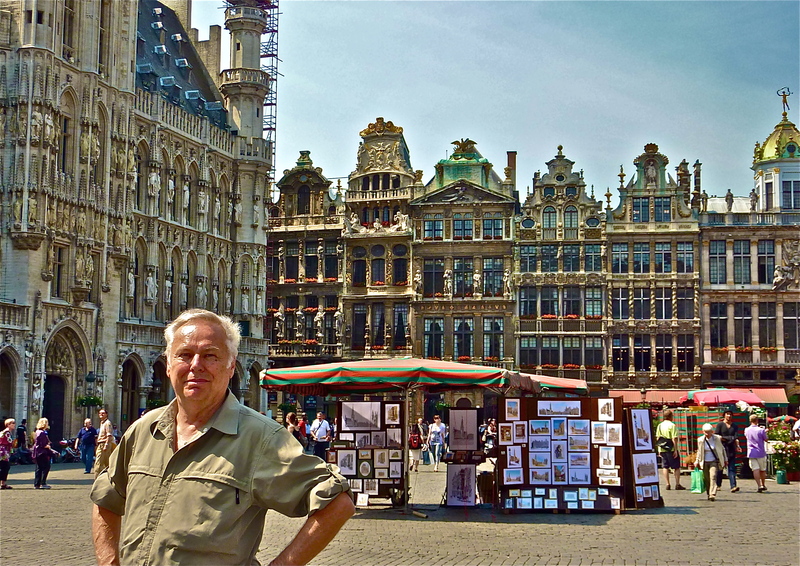 I found myself stopping all too often on the byways of Belgium at one of the numerous roadside snack trailers. In truth, it became a test of will to keep on driving after the third stop in just a couple of hours. 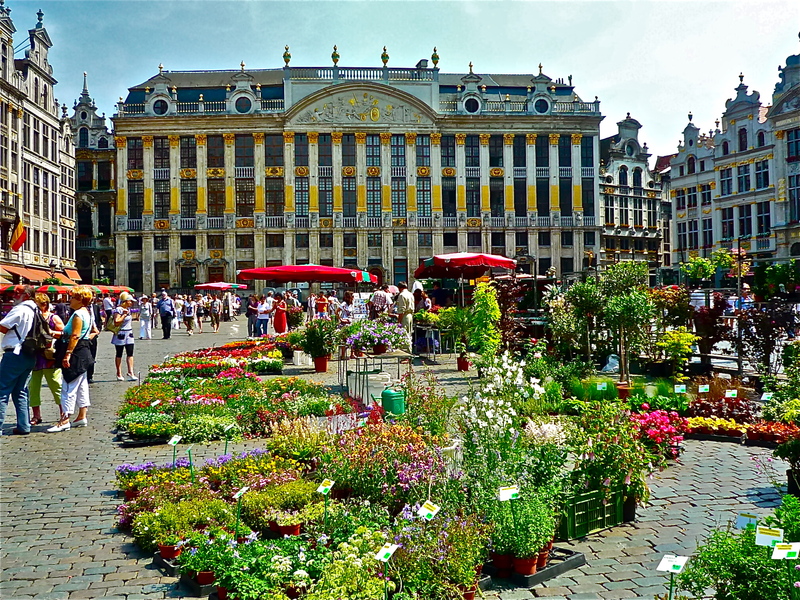 In Bruxelles (Brussels if you prefer) the city features many pedestrian avenues and ample squares to shop for flowers, browse, stroll, or sit at an outdoor café and enjoy a refreshing brew. 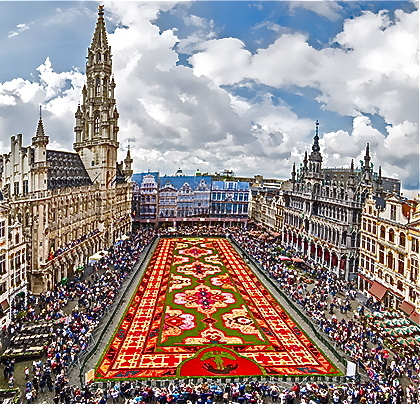 In August a hugely popular, intricately designed carpet of flowers draws people from far and wide; the first was created in 1971 on La Grand Place by the landscape architect E. Stautemans. 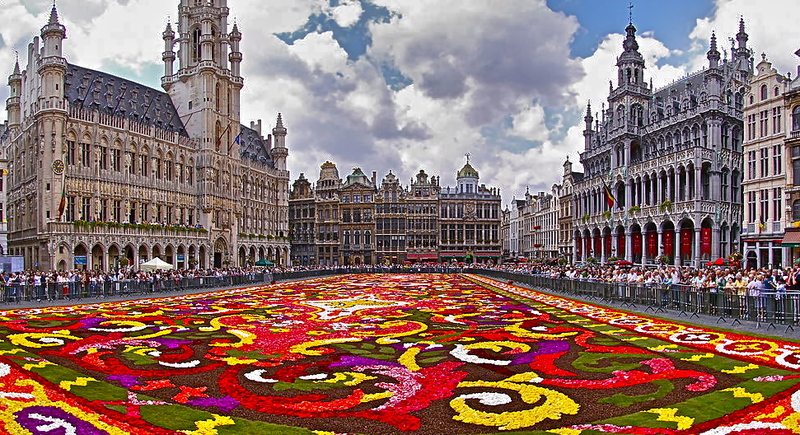 Although he’s created floral masterpieces in many other great venues, he claims,“Nowhere is the carpet more beautiful and distinguished than in the unique, ancient surroundings of the Grand-Place in Brussels”. Can anyone doubt his words? The beauty of the carpets are mostly due to the lovely begonia. Chosen for its qualities of robustness, resistance to bad weather and strong sunshine the versatile flower guarantees the long life and freshness of the carpet. It also gives it a kaleidoscope of colours – from vivid splashes to delicate pastel shades, to the parti-colored and white flowers which reflect the light so well. 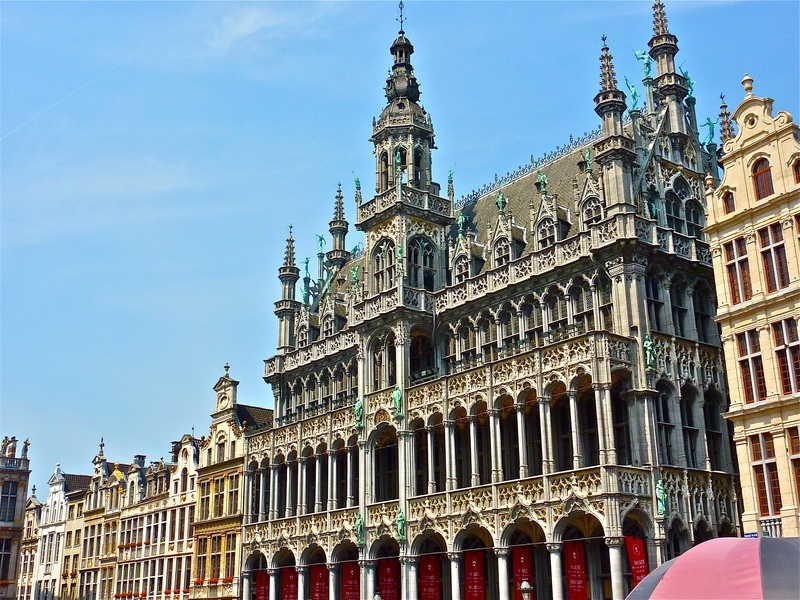 La Grande Place is the central square of Brussels and a favored tourist destination. 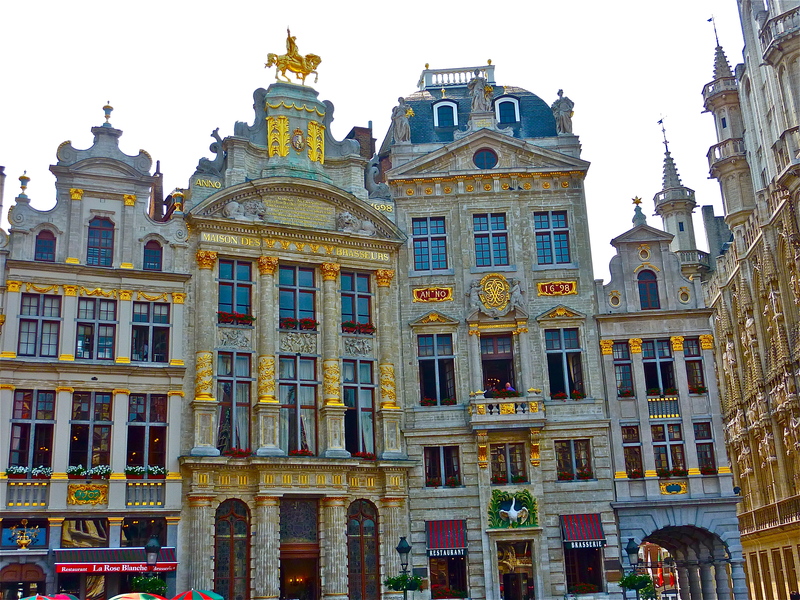 It is surrounded by guildhalls, the city’s Town Hall and the Breadhouse built in traditional Flemish architecture. Many European cities lay claim to offering the grandest squares or piazzas but other than St. Mark’s in Venice in my view none quite equal La Grande Place. Ara, a dear friend has proposed London’s Trafalgar Square based on history and architecture as worthy of inclusion too, perhaps, but I form my opinion based of my proclivity for taking photos. As at India’s fabulous Taj Mahal a few years earlier I could find no angle here that didn’t produce a fine result and personally that is the main criteria on which I make my choice. 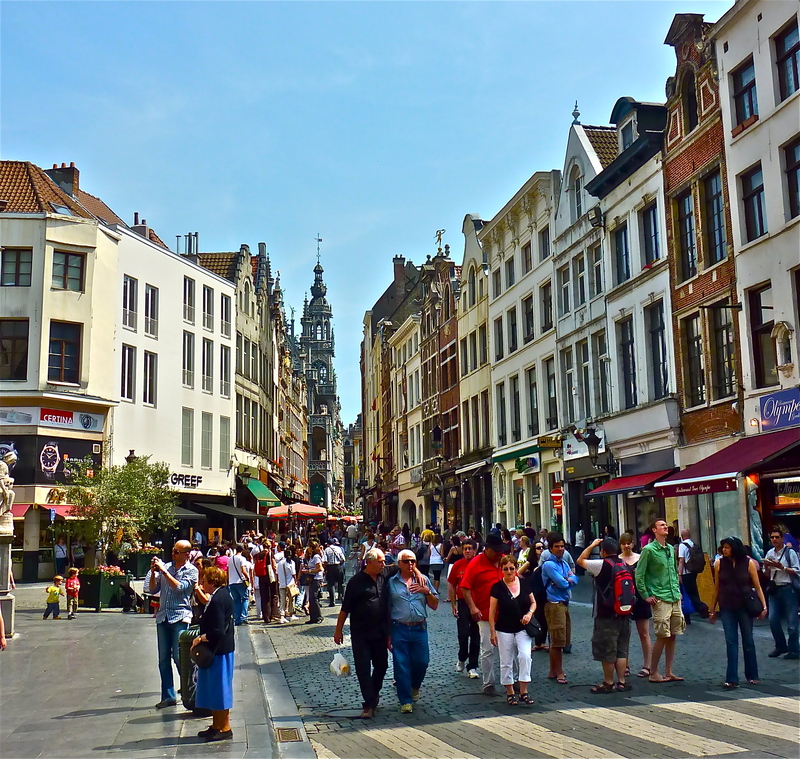 Hopefully my admiration concerning ‘La Grande Place‘ was adequately displayed in the previous photos; but the time came to drive off to Ghent a beautifully preserved medieval centre and presently a modern thriving city. 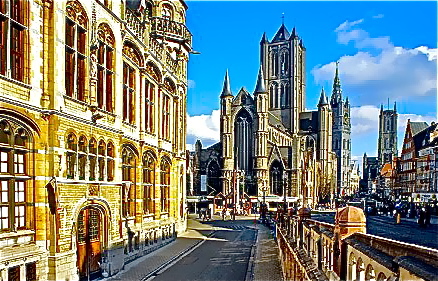 Ghent is the capital city of Flemish Belgium, a prosperous town with a quarter million inhabitant. For my part it was a fortuitous discovery a few years ago originally meant simply as a stop for a quick look-see on my way to Amsterdam. 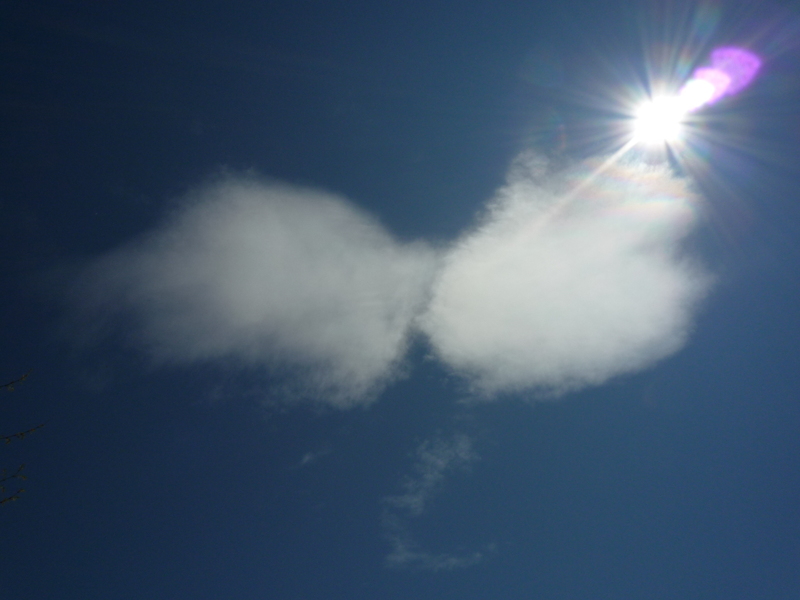 I was so intrigued that I stayed two days and have since returned twice and surely more in the future. 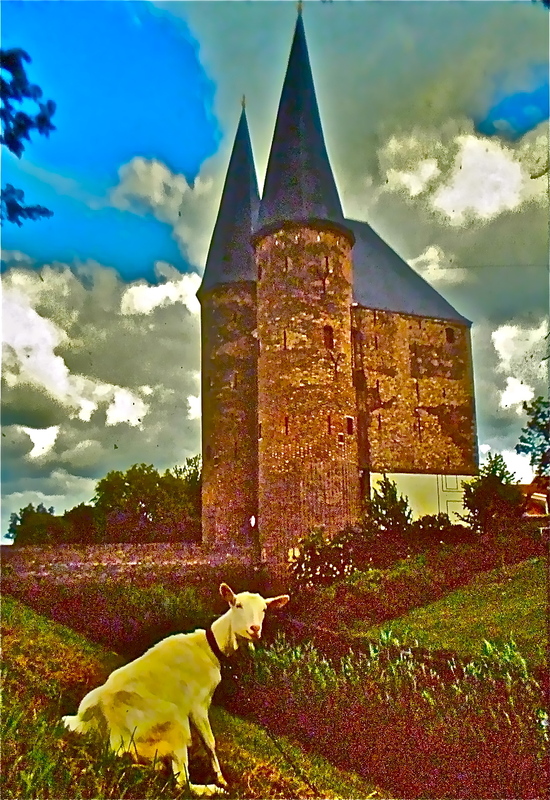 I was delighted to be greeted by a handsome four-legged Belgian guarding the medieval gateway. 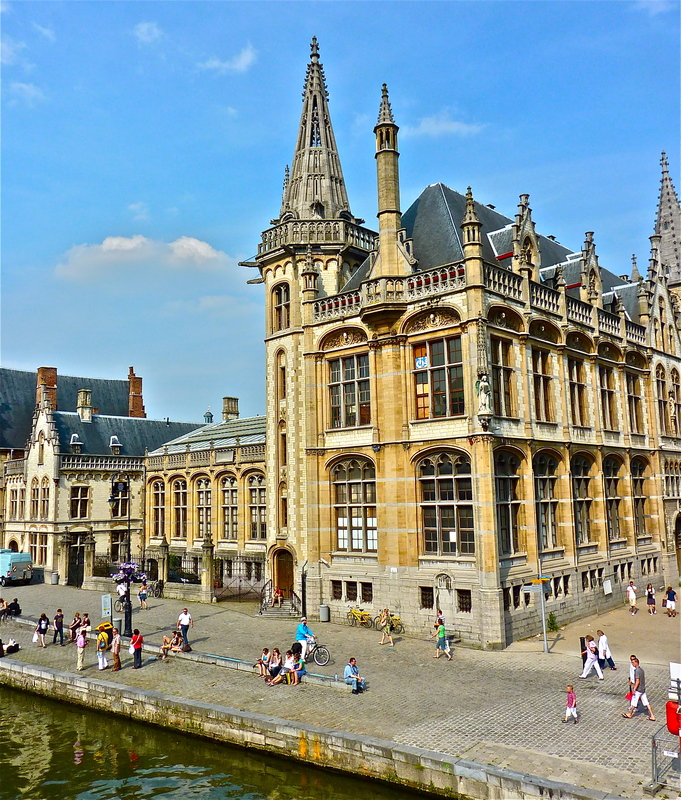 Ghent’s wealth in the early medieval period was based on international trade, the import and export of wheat, and the manufacture of luxury woollen cloth. 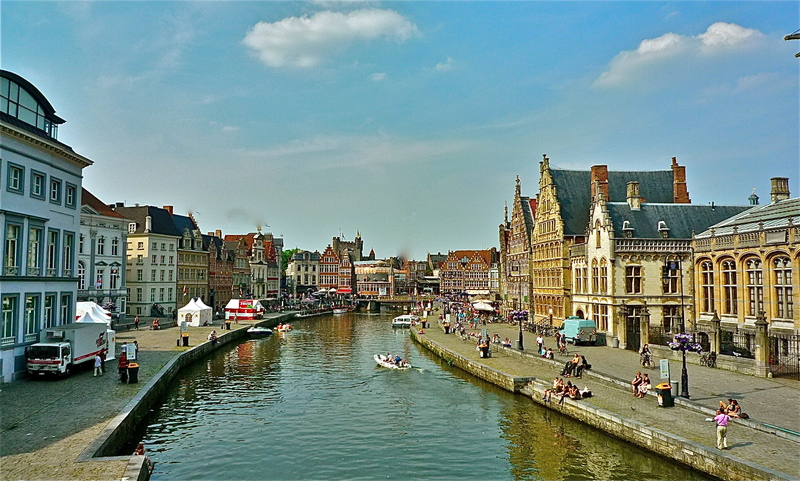 The city’s trade benefitted from being traversed by a river linking it directly to Bruges and the North Sea hence to the world. There is so much to see that it is an injustice to share so few photos but self-discipline is required as not to overload and risk boring you. 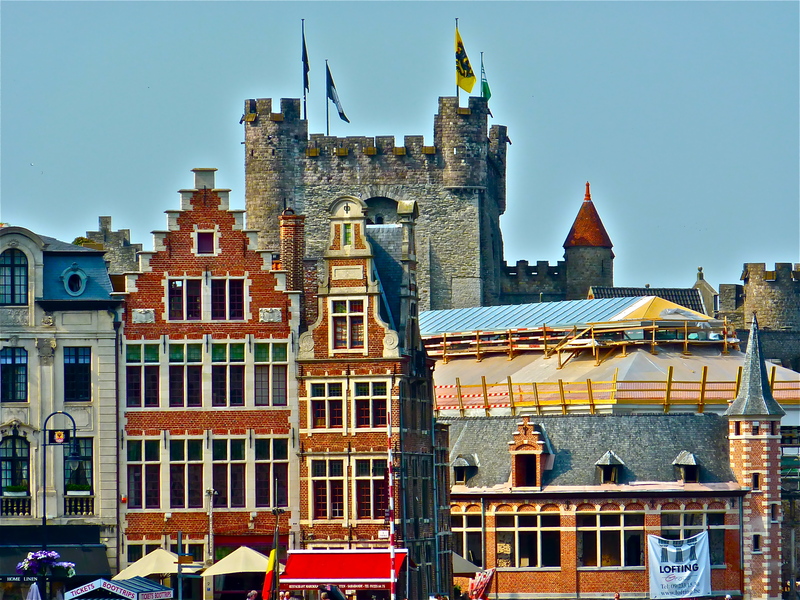 The classic tower and the battlement of Gravensteen Castle and the splendid architecture along the old Graslei harbour. 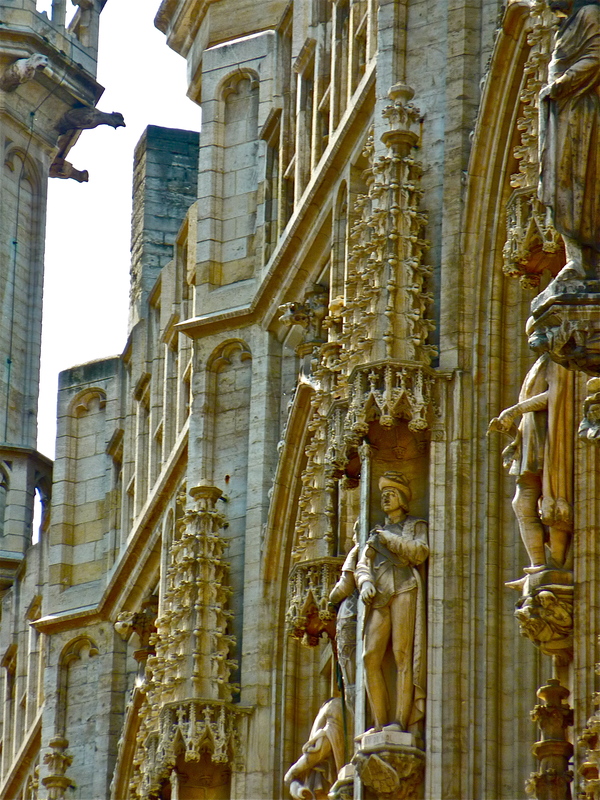 Much of the city’s medieval architecture is remarkably well preserved and when required restored to its former state by skillful artisans. 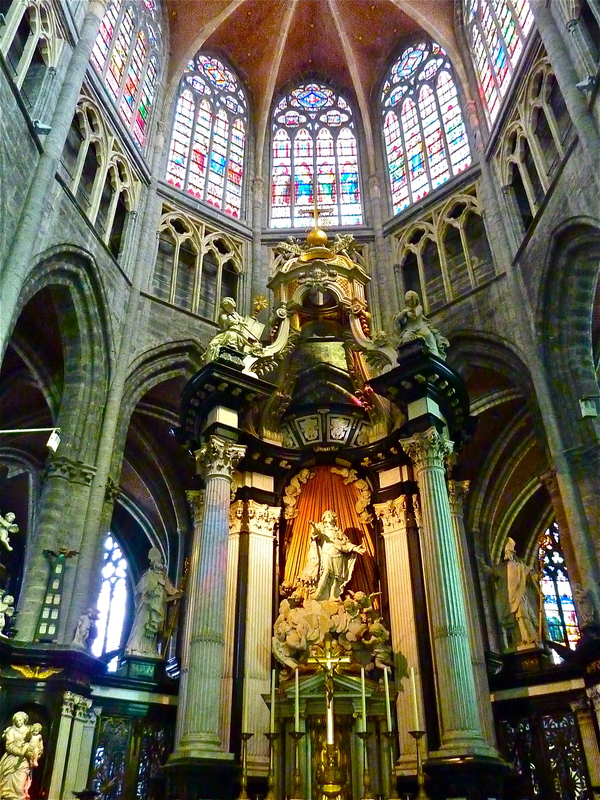 I head into St. Bavo’s, the city’s venerable cathedral founded in the 7th century, to see for myself how extravagant were the city’s wealthy burghers in parading their riches; the Catholic Church often was the grateful recipient of great art donations. 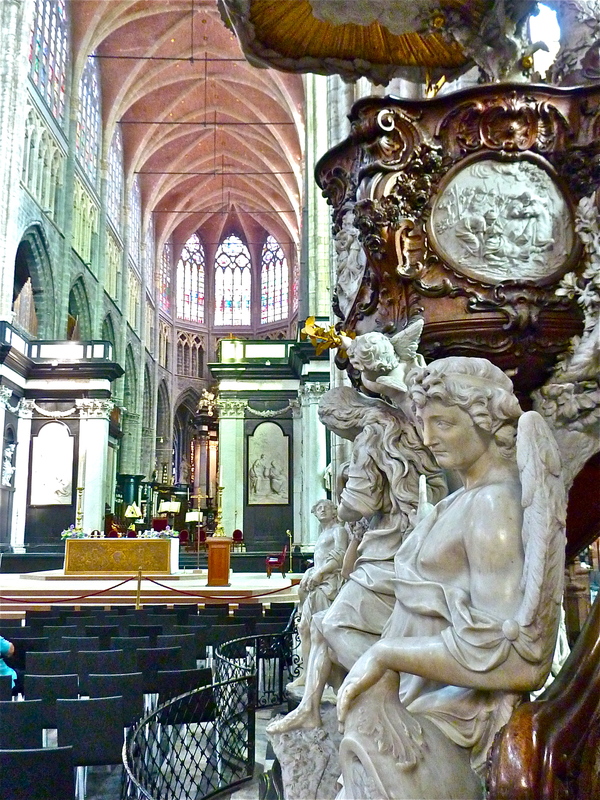 Highlights of the interior decoration include the Baroque high altar (1702–1782), in white, black and red flamed marble, the rococo pulpit (1741–1745), made in oak, gilded wood and white and black marble. There is a wealth of precious art and artifacts to discover and admire in the vault, along the walls and adorning the several alcoves and side chapels. 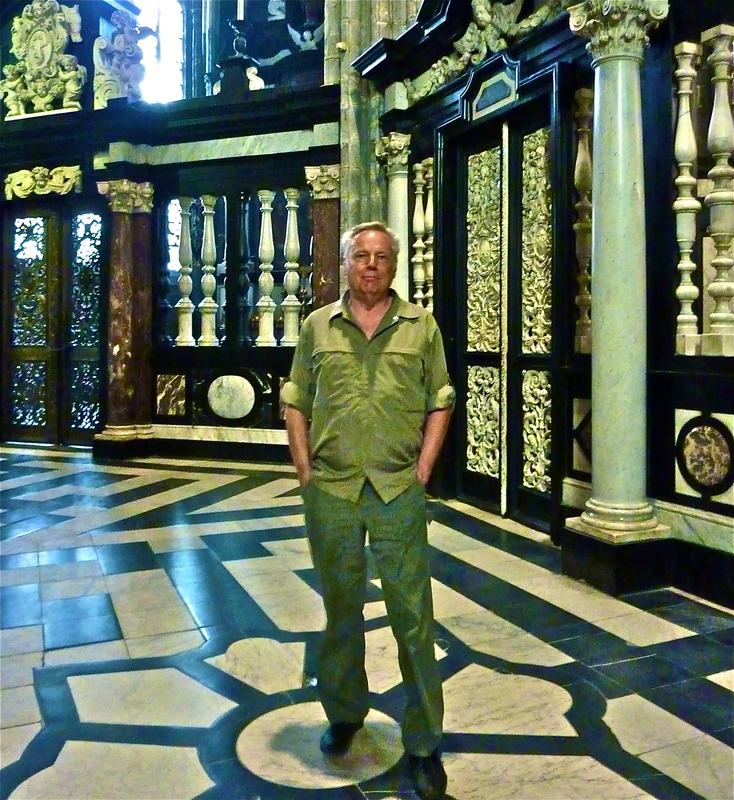 Visiting the great cathedrals of Europe is one of my great joys yet I’ve seldom come across one that has so much art on display anywhere your eyes wander – notice the intricate patterns of the marble floor and elaborate doors to side chapels. 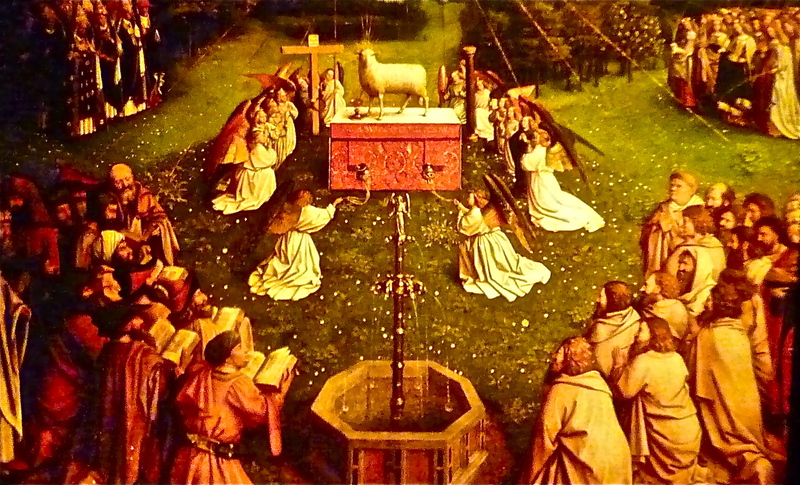 Jan and Hubert van Eyck’s famous Adoration of the Mystic Lamb, better known as the Ghent Altarpiece of 1432, ranks among the most significant works of art in Europe. Works of historical importance in art such as The Adoration of the Magi along with a much coveted (by invading armies) trend-setting triptich created by Jan and Hubert. 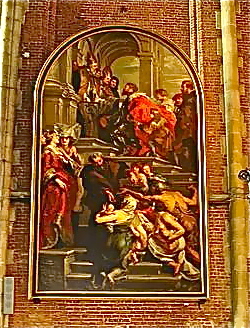 The cathedral is home to the work of another artist of note Peter Paul Rubens: Saint Bavo enters the Convent at Ghent. 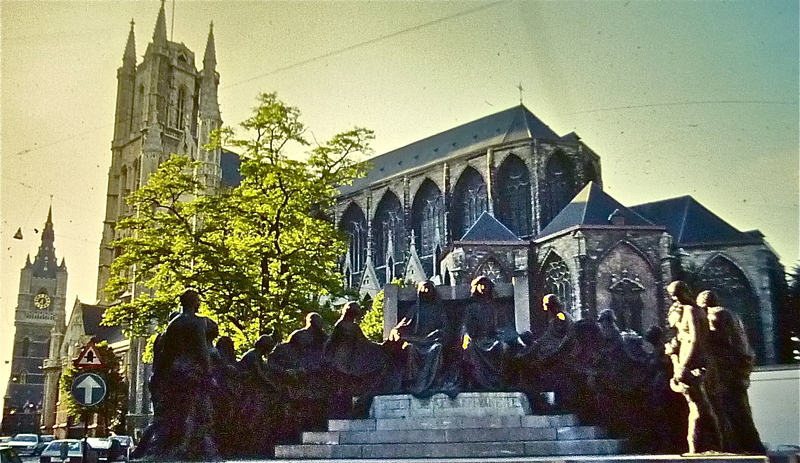 A splendid grouping of admirers in this massive sculpture paying homage to the Jan and Hubert Eyck majestically sitting in the middle. The city centre is truly a joy to walk about, admiring the architecture; I felt especially grateful to the local citizens for lovingly preserving their magnificent cultural heritage. 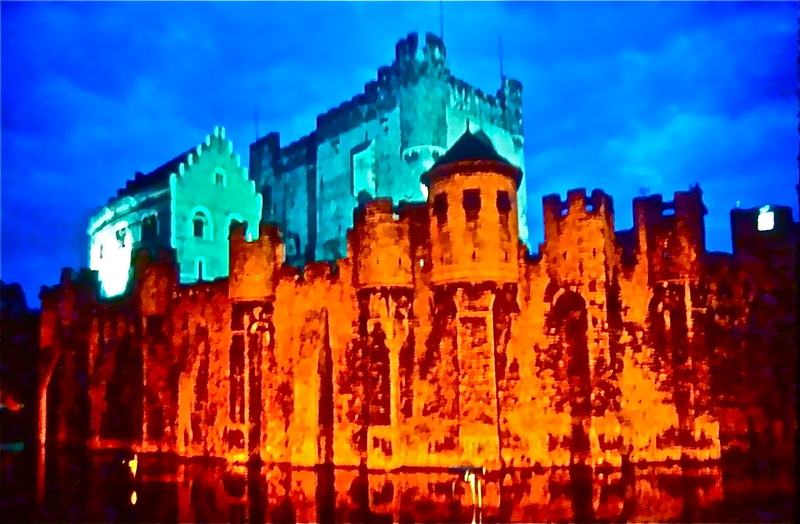 The Gravensteen Castle is strikingly illuminated at night; in fact the entire centre of the historic town is off-limits to cars and thus a great walking venue. 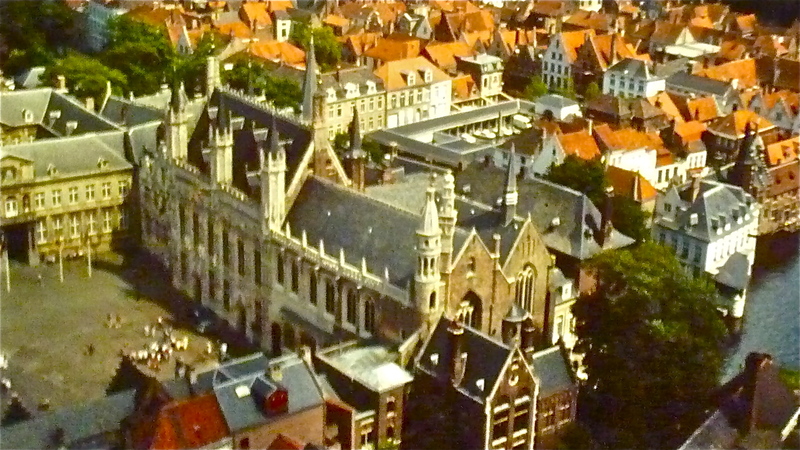 Another of the great angles to take photos – here we have St. Nicholas Church and opulent storefronts of wealthy merchants. 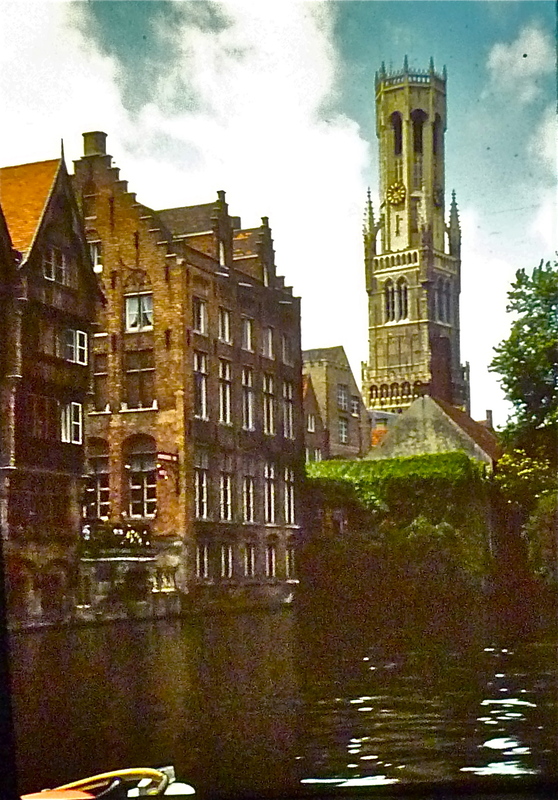 As all good things must come to an end I regretfully bid adieu to Ghent and drove west to Bruges, a short drive towards the North Sea. 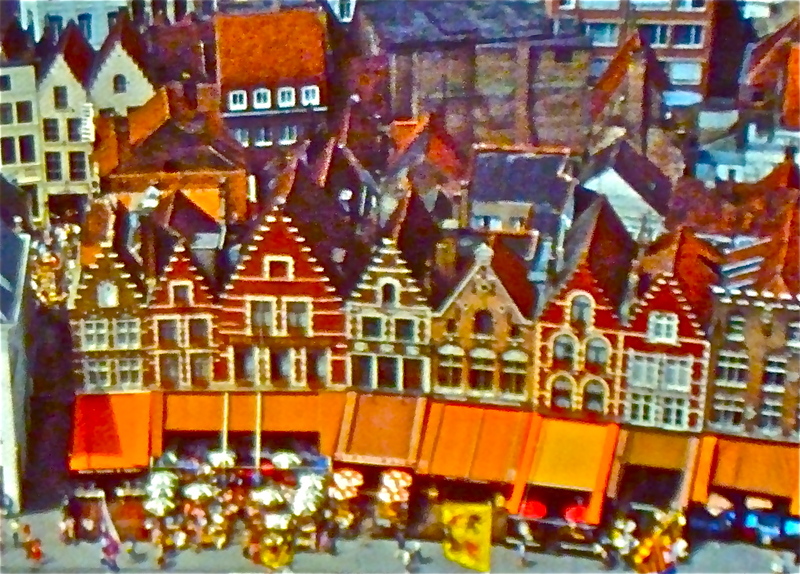 I lost nothing only gaining more appreciation for Belgium as Bruges vies with its larger neighbour for medieval splendour while oozing a particular brand of charm and hospitality. Best described as a picturesque medieval town with most of its medieval architecture intact its historic city centre is recognized as a UNESCO World Heritage Site since 2000. 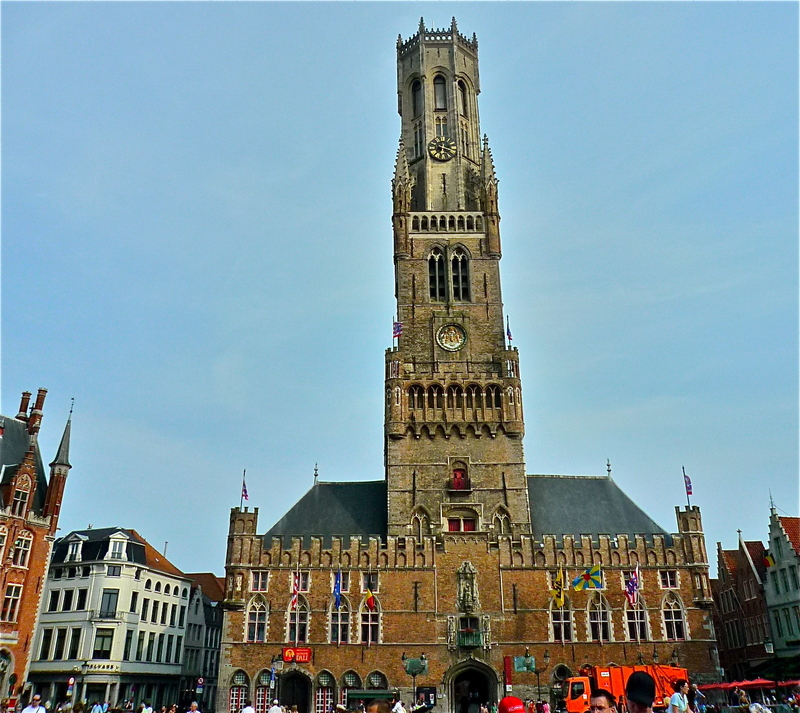 Start off by visiting the ‘Markt’, a pleasant and busy square; then head for the Belfry, the lofty 13th century medieval bell tower. 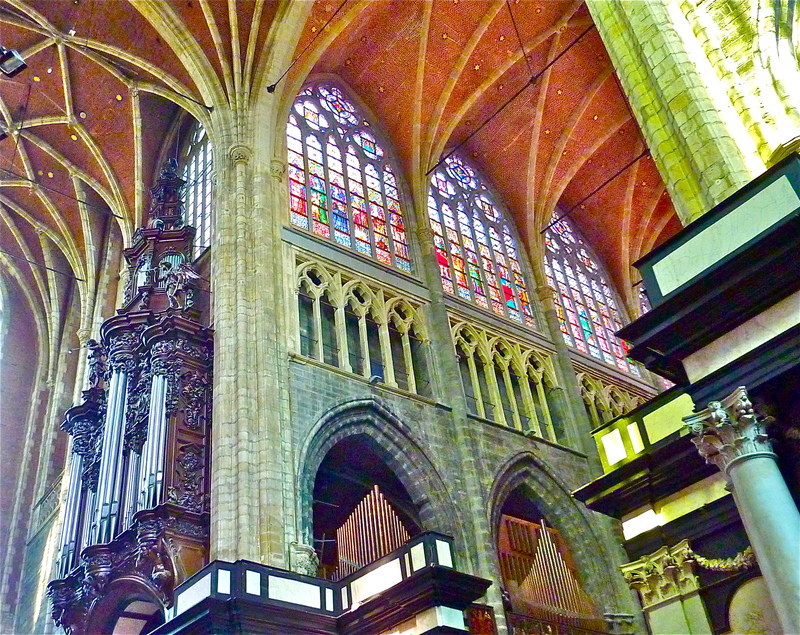 It houses a splendid carillon 48 bells. The city still employs a full-time carillonneur, who gives free concerts on a regular basis. 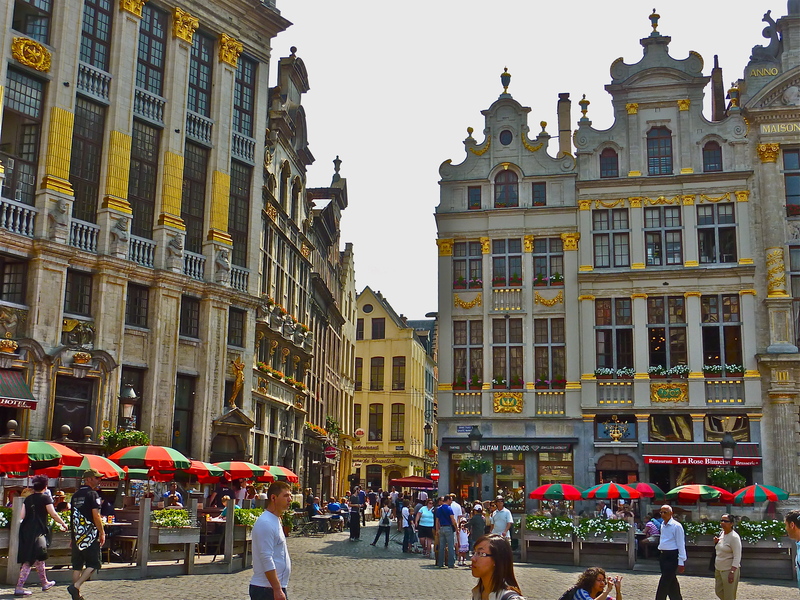 After admiring the vista, to recover from the tower’s steps head to one of the many restaurant patios located in the Markt, grab some food, personally I love the delicious Belgian waffles, have a drink and catch your breath. 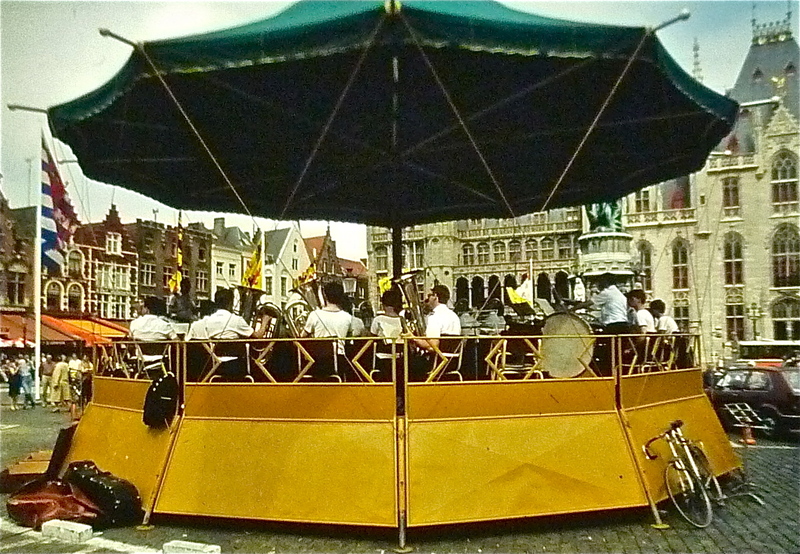 The square is wonderfully alive and oftentimes a military band performs upbeat marching music from the large gazebo strategically located right in the centre. Luckily I found a comfortable and in retrospect for the price bargain accommodations in the best part of town for a visitor. My small hotel was right in the centre of the foreground with a friendly restaurant below where to enjoy my breakfast on the patio. 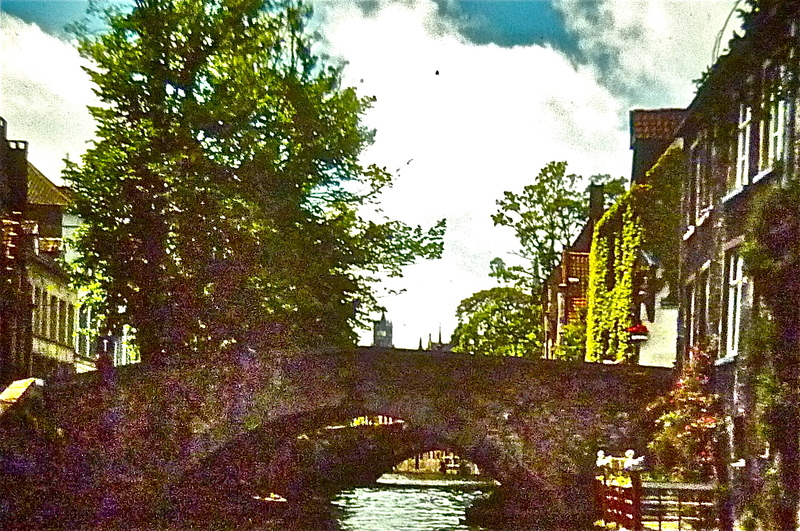 Belgium is famous for its canals and Bruges is nicknamed ‘Little Venice’ – a great way to get oriented is to start with a boat ride around the canals that ring the centre of town. This pleasant jaunt gives access to places you wouldn’t see either on foot or bike. 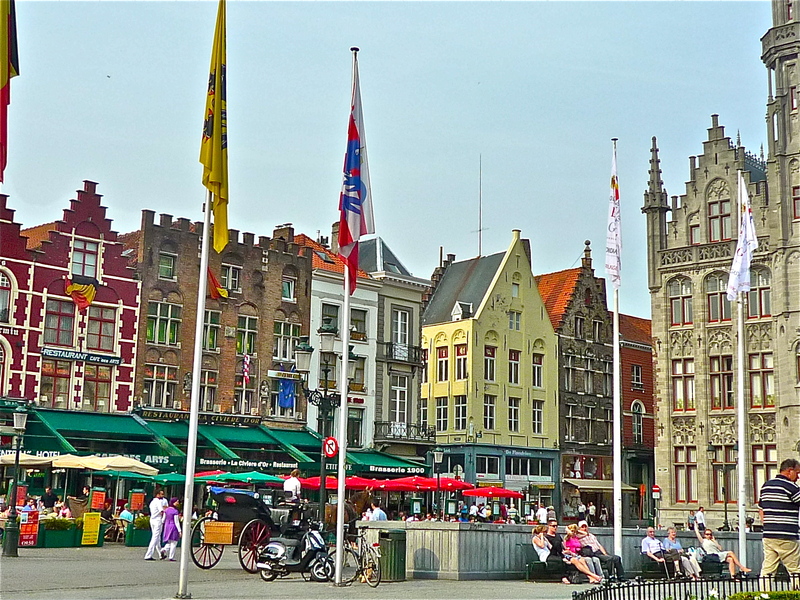 At one time, it was considered the ‘chief commercial city’ of the world and to this day it retains a significant economic importance thanks the Leie River, its port and direct access to the North Sea hence the world. 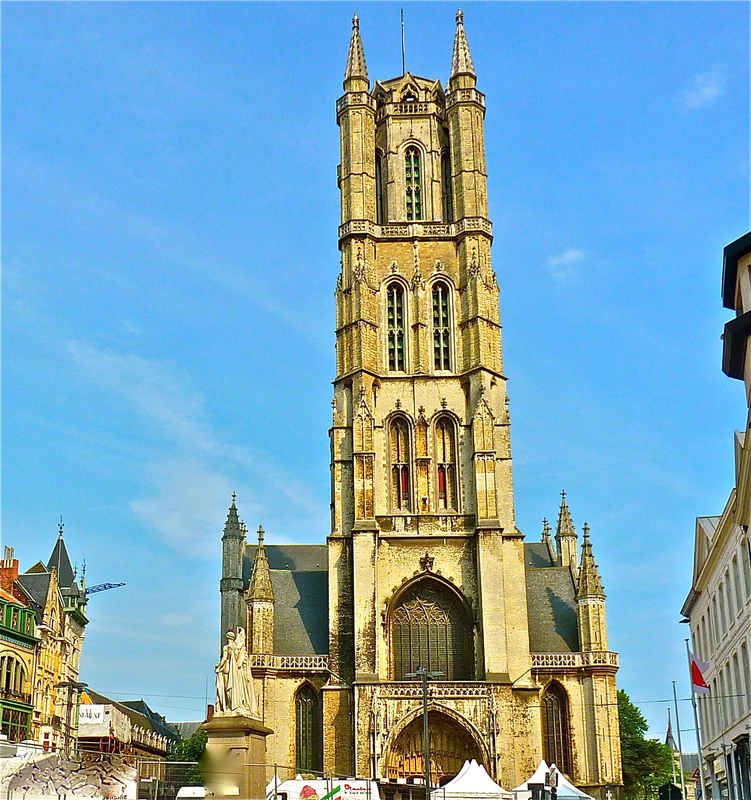 Many of its medieval buildings are notable, including the Church of Our Lady whose spire reaches 122 m (401 ft), making its tower one of the world’s highest brick structure. 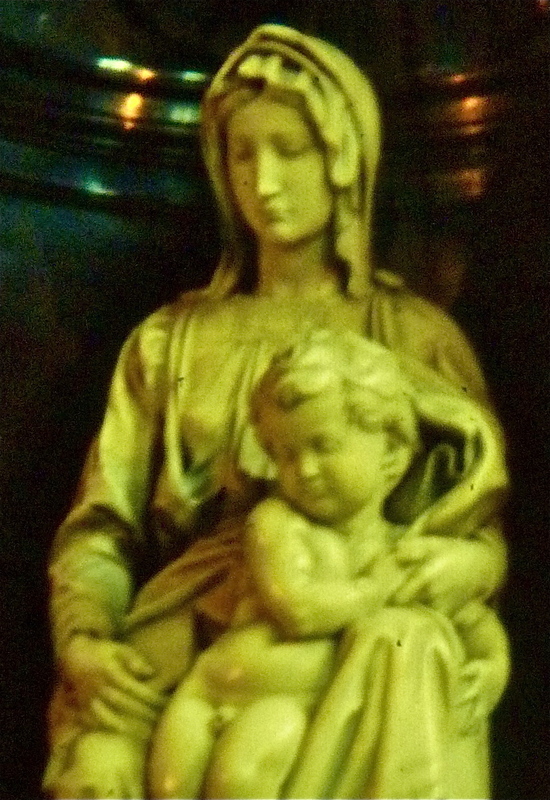 The sculpture Madonna and Child which can be seen in the transept, is believed to be Michelangelo’s only sculpture to have left Italy within his lifetime. 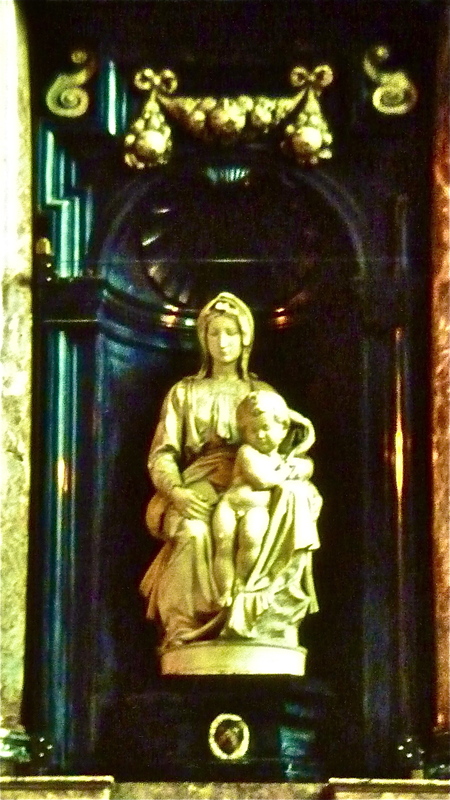 On my first visit to Bruges, when I first entered the church I walked the right hand aisle and in a marbled alcove, I spotted the striking statue of a Madonna and Child. Strangely, I immediately thought of Michelangelo having previously admired his splendid Pieta inside St. Peters, in Rome. A small plaque confirmed to my delight (I felt really clever) indeed it was created by the sublime Renaissance artist. I looked over my shoulder to make sure I was not observed, tip-toed up to the base and very respectfully passed my hand over the lowest part of the statue to touch what Michelangelo had magically worked centuries ago. The photos are not of the best quality as at that time I did not have a digital camera so this is the result of taking close-ups from print photos. In the interest of being honest the anecdote related was during my first visit decades ago when not even a plain glass partition was deemed necessary, ah the good old days. The memory is all the more poignant as presently the very same statue is now secured behind a bullet-proof glass and the viewer must stand at least 5 metres (15 f.) distance away. The result I learned stemmed from the wanton attack in 1972 on the Pieta (soon after my own moment of happiness) by a mad man who took a hammer to the beautiful face. I suppose in retrospect I might have been more circumspect and admired the statue from a distance, yet I’d be less than candid if I say to not holding this as a cherished memory. 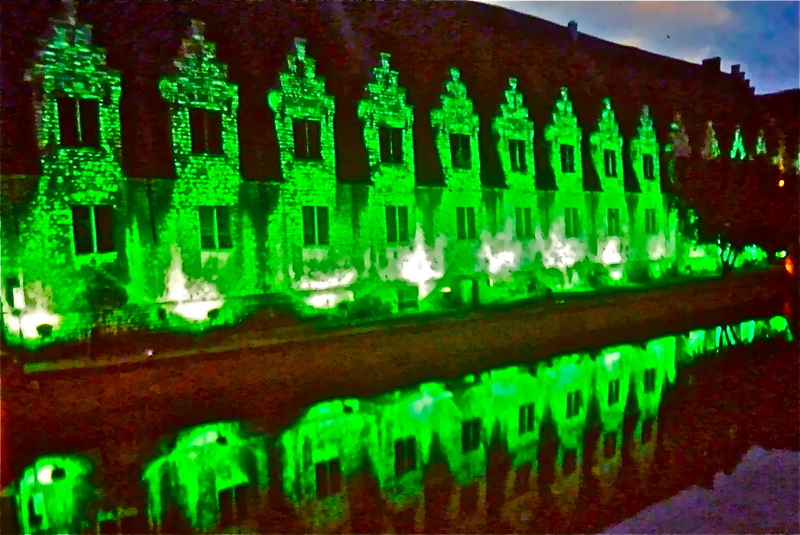 Oh, I almost forgot and that really would have been a big miss – since the middle-ages Bruges has been famous for fine lacework with a specialized local technique and patterns that are immediately recognized by knowledgeable enthusiasts. 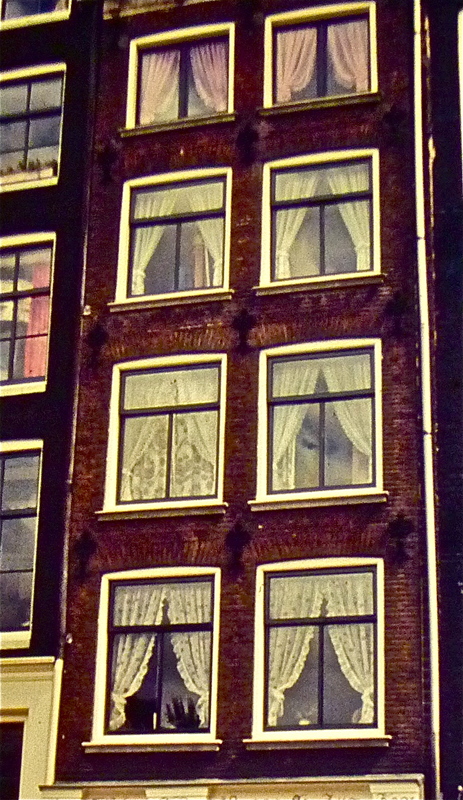 Delicate lace curtains festoon windows particularly in the olden parts of the town, a tradition that is very much alive to this day. On my first trip years ago I had the good sense to purchase a large lace table cloth for my mother; on my last trip I came to realize what a bargain I had in comparison to today’s prices. 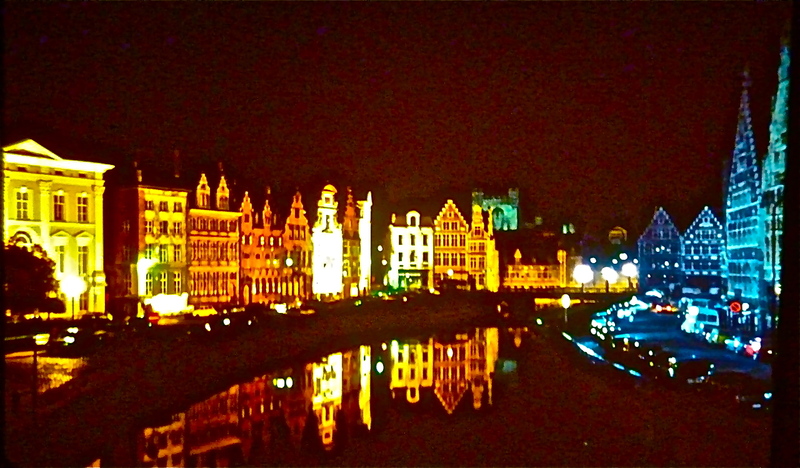 There you have my sincere compliments paid to Belgium and its people; this small, effervescent country is justifiably proud of a long and brave history. 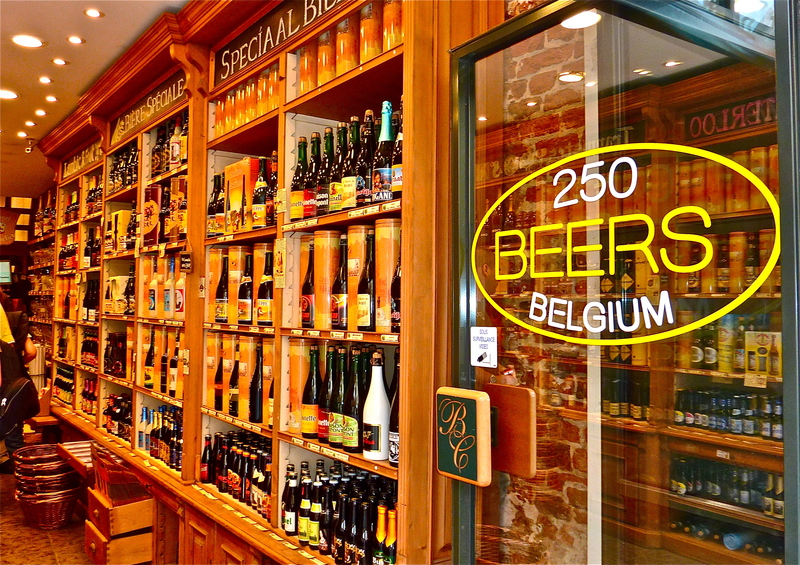 Think of it as a deep basket of interesting sites, culture and art (many recognized by UNESCO), wonderfully preserved medieval towns, mouth-watering chocolates, good food, exceptional beer, friendly folks and a quality sure to please the budget conscious traveler, easy on the pocket book. 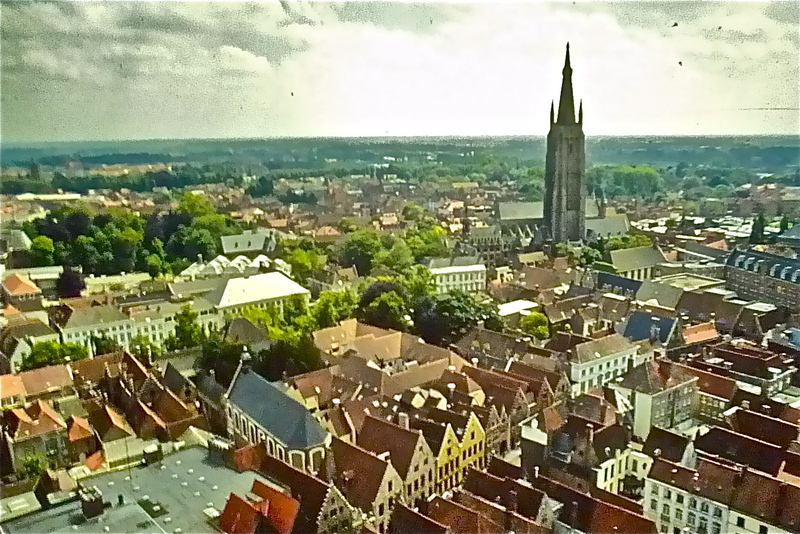 No doubt I’ll return yet again, to act on a desire to explore and enjoy a whole lot more that I know is awaiting in the Plains of Flanders. A note to my ‘très gentil’ followers and, so we are clear, I don’t mean to appear self-important but that’s how you my friends are referred to in the parlance of the blogger. At any rate, I’ve been chided by some of my Canadian friends for neglecting this immense and often times grandiose country. Living in British Columbia most certainly provides a plethora of beautiful scenery and spectacular vistas. Therefore in the near future I’ll offer a selection of memorable views taken over the years in and around Vancouver and roaming the ways and byways of this richly varied province. Until then, à bientôt! 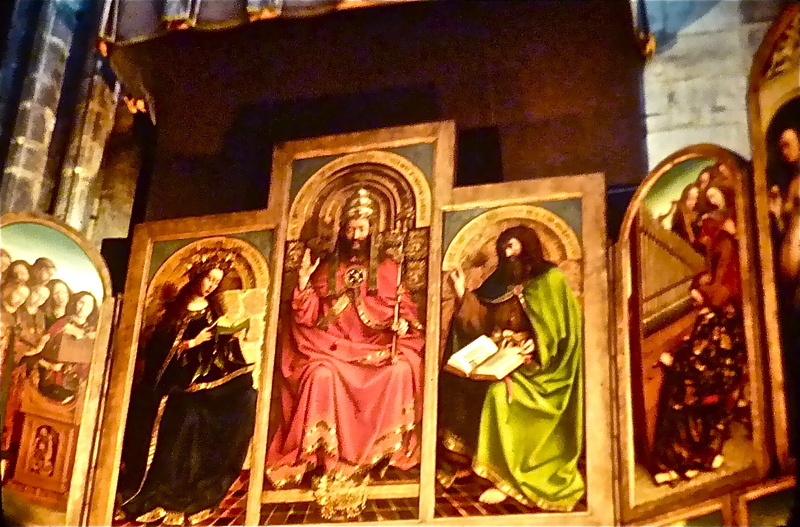 This entry was posted in Uncategorized and tagged Adoration of the Magi, Begonia, Belgique. Brussels, Belgium, Bruges, Bruges lace, Brussels Floral Carpet, Bruxelles, Church of Our Lady, Eick brothers, Gand, Ghent, Gravensteen Castle, Jan and Hubert Eick, Madonna and Child, Markt, Michelangelo, Peter Paul Rubens, Saint Bavo Enters the Convent at Ghent, St. Bavo, St. Bavo triptich. Bookmark the permalink. Dear Fabulist, once again your photos and tales of travel seduced me. That,s it, I am going to Brusells right now. Thank you for another great inspiration. As soon as I noticed your name I knew you’d be praising my latest effort at entertaining along with some useful information. Next trip I intend to spend more time exploring the coast as I thoroughly enjoyed what I did see, Knokke-Heist in particular with its long, long boardwalk. Merci ma chère amie. 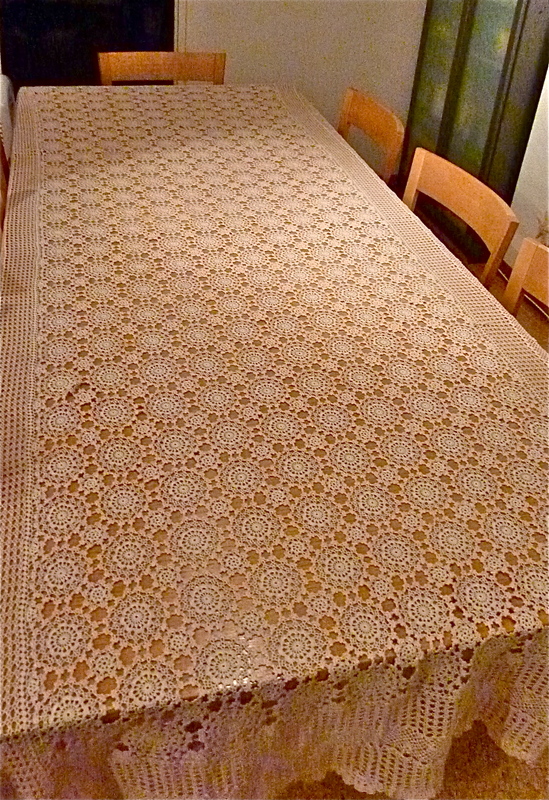 Love the lace table cloth. 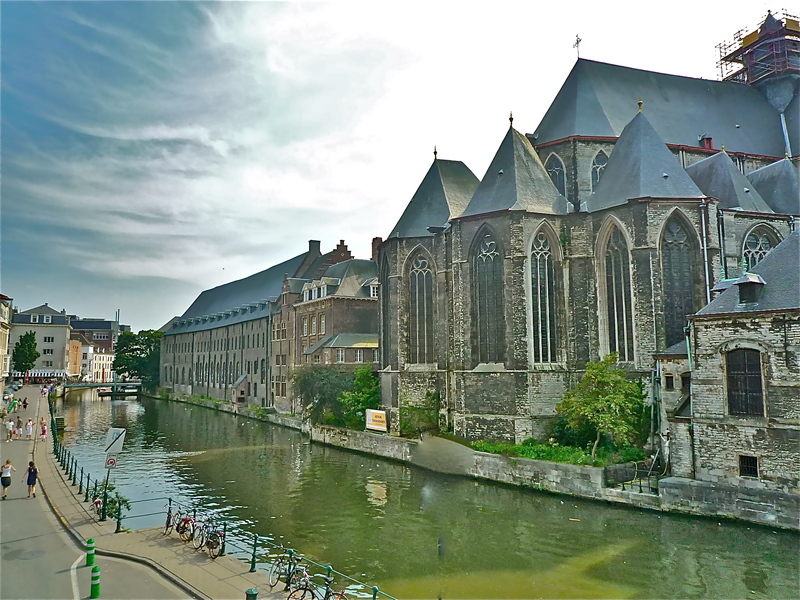 Also several people have told me that both Bruges and Ghent are gems! 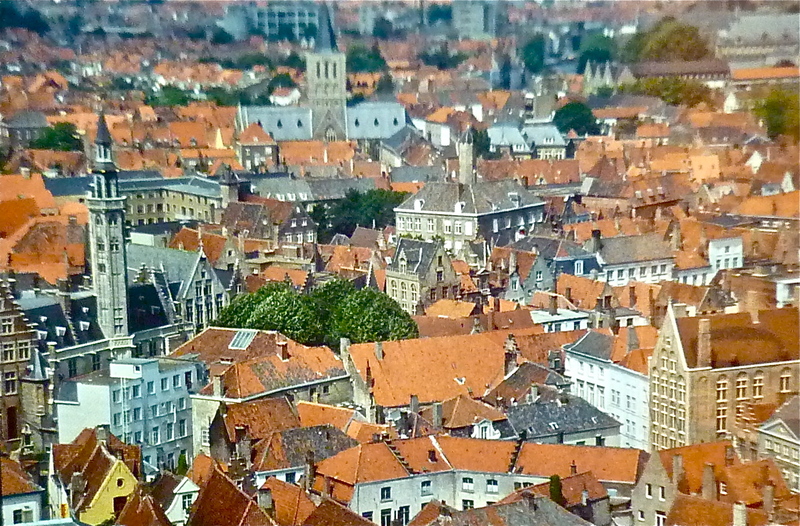 So each time I have been in Europe, I have made attempts to visit but always ran out of time. I guess I should make it as first stopover so not to miss it again. 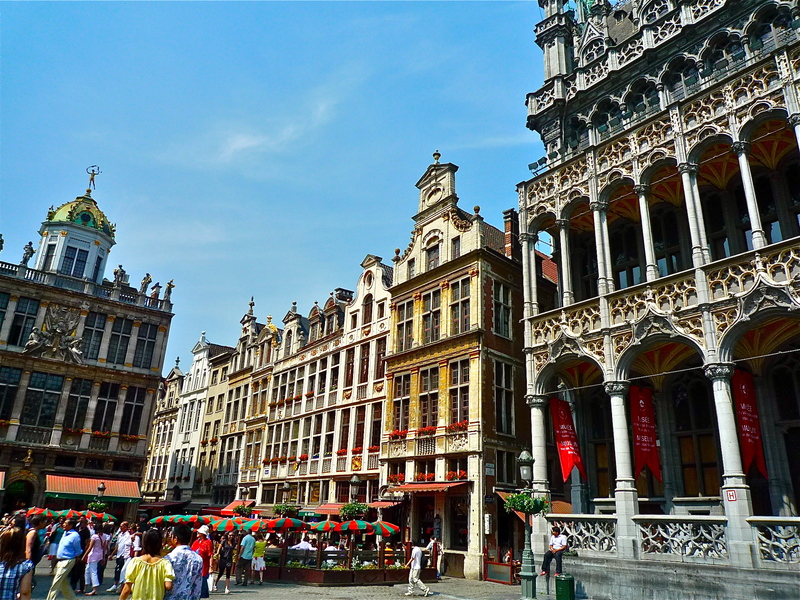 Brussels would make a great day trip from Paris. Take a train but make sure to both segments I was told. 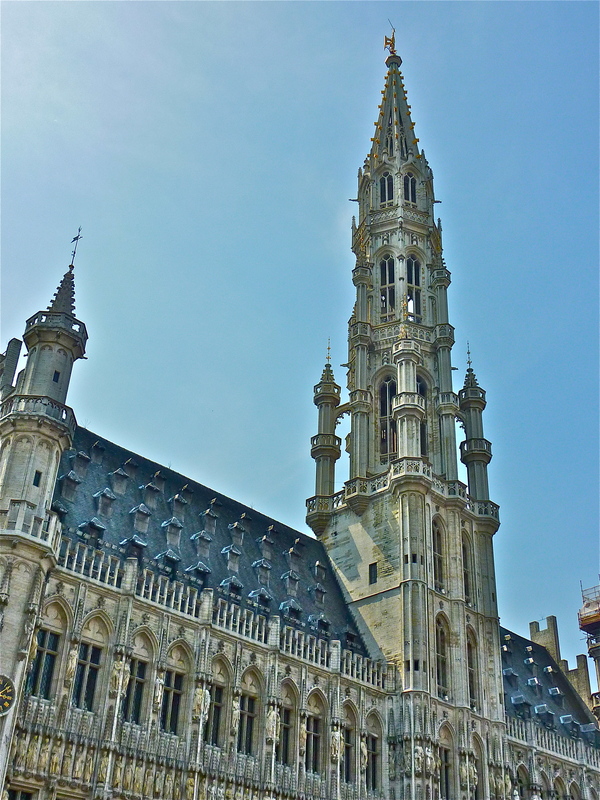 And allow 2 hours to tour Brussels.